This literary work, the result of 10 years of research, meticulously reconstructs the world in which Jesus lived as no author has previously done. The Jesus most people think they know is not the Jesus of history, according to intensive scholarly analysis that international award-winning historian Daniel L. Wick has conducted. His new book Jesus, the God Within: Foundations of a Forgotten Faith, focuses on the human Jesus of history rather than the divine Christ of faith. Wick reveals how people in that ancient time sensed, felt, thought and worshipped. Only in the context of that vanished world can Jesus and his followers be properly understood. "This is the most important book on Jesus you will ever read," wrote Richard N. Schwab, professor emeritus of history at the University of California, Davis. Wick recreates Jesus' ancient world using a variety of novel historical methods that depart sharply from the often flawed approaches that led previous scholars to make fallacious assertions. Wick declares, "The canonical Gospels are works of literary genius. Despite obvious contradictions and inconsistencies among them, their narratives have understandably mesmerized Christians since ancient times. But it must be recognized that they are far more fiction than fact." He has amassed a convincing body of evidence to explain why. Jesus, the God Within presents revelations that bring new clarity to interrelationships that previously were obscured, ignored or incorrectly interpreted. After reading Jesus, the God Within, you will never be able to view the world in which Jesus lived and taught as you did before. By accompanying Wick on this intellectual journey, you will develop a greater appreciation of the enormous complexity of that ancient world, and a heightened admiration for the religious genius that Jesus surely was. You will learn about the history of the earliest Jesus followers, including a mystical tradition that has long been forgotten and de-emphasized in modern Christianity. You will learn fascinating information about a man who has been called the most influential figure in human history. None of what you will read will affect your own religious outlook, but will merely enrich it. The author is himself a religious skeptic. Jewish readers will be introduced to the extraordinarily complex history of first-century Judaism and the clear conclusion that Jesus was a religious reformer in the Jewish tradition, not someone who sought to create a brand-new religion competitive with Judaism. Muslim readers will uncover a great deal of information about a man whom the Koran regards as the greatest prophet preceding Muhammad. You will learn about many of the methodological problems encountered in your discipline, and you'll be introduced to new and intriguing modes of analysis that have previously not been applied to the historical Jesus. This scholarly work presents a much-needed secular interpretation of the deep context of Jesus' emotional and intellectual world. Wick does so by reconstructing and reinterpreting that ancient world using a stunning variety of novel historical methods that depart sharply from the conventional (and frequently circular) approaches employed by traditional Jesus scholars. Wick's analysis is based on methodologies only recently developed by historians to explore the complexities of past times. The result is a more profound understanding of the complexities of Jesus' world and a greater appreciation of his unique religious genius. Daniel L. Wick received his Ph.D. in history from the University of California, Davis. The author of four previous books and dozens of articles, essays and reviews, Wick has been the recipient of national and international awards, including the coveted William G. Koren prize for the best article in French history published in a given year. As a member of the Crocker Historical and Archaeological Projects team of scientists and historians at the University of California, Davis, Wick participated in intensive collaborative interdisciplinary research in numerous areas of interest, including studies of the inks used for printing the Gutenberg Bible and the analysis of fragments of the Dead Sea Scrolls. As a faculty member in the Integrated Studies Honors Program at the University of California, Davis, Wick developed interdisciplinary courses combining history, philosophy, literature and religion. Using these same interdisciplinary methodologies, he has taught courses on Jesus and the New Testament for more than 35 years. 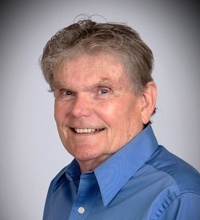 Active in teaching and research, Daniel L. Wick lives in the San Francisco Bay Area. 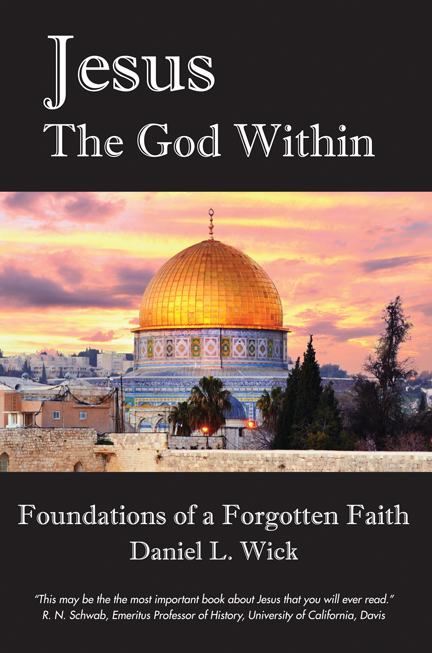 Jesus, the God Within: Foundations of a Forgotten Faith is available as a trade paperback through Amazon.com, Barnes and Noble and other online sellers. It also is now available in digital (e-book) form for Amazon Kindle, Barnes & Noble Nook, Apple iPad and other electronic tablets.